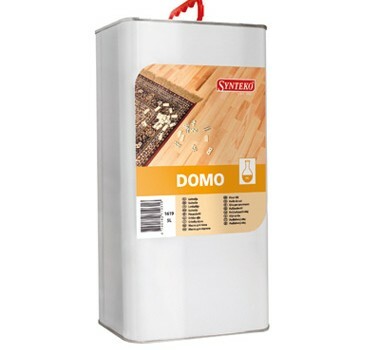 Synteko Domo is an oxygen curing, faintly smelling penetrating oil for impregnation of timber and cork floors in residential as well as commercial areas. As Synteko Domo has only 50% solids, it dries faster than Natural Oil and can be applied with a roller. An added advantage is that it can penetrate denser timbers more effectively. Synteko Domo Oil is similar to Synteko’s other penetrating oils being a non-film building finish. When applying this type of finish the object is to “work” the product into the wood fibres and not allow it to sit on top. The most common mistake with applying this type of product is either too much oil is left on the timber surface or insufficient oil is applied and the timber grain is sanded too finely.